This report was produced under the FHWA contract DTF61-05-D-00024. The Contracting Officer’sTechnical Manager (COTM) was Chimai Ngo, FHWA Office of Federal Lands Highway. The project team gratefully acknowledges the input provided by the following individuals over the course of this project: Jeff Bagdade, Mike Blankenship, Victoria Brinkly, Rebecca Crowe, Edward Demming, Peter Field, Thomas Fronk, Christoph Jaeschke, Salisa Norstog, Norah Ocel, Jennifer Proctor, Gerald Fayuant, Steve Suder, Dennis Trusty, and Scott Whiemore. 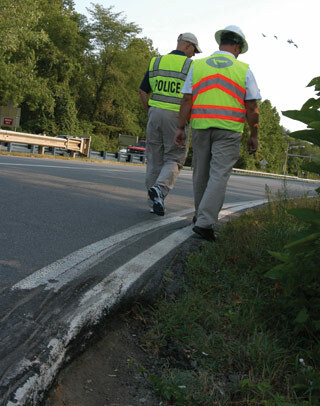 Road Safety Audits/Assessments (RSAs) have proven to be an effective tool for improving safety on and along roadways. As such, the use of RSAs continues o grow throughout the United States. The success has led to the Federal Highway Administration (FHWA) including the RSA as one of its nine “proven safety countermeasures”. Federal Land Management Agencies (FLMAs) and Tribes are beginning to witness the benefits of conducting RSAs. However, FLMAs and Tribes often face unique conditions, staffing, and funding constraints that do not allow resources to be devoted to improving roadway safety. 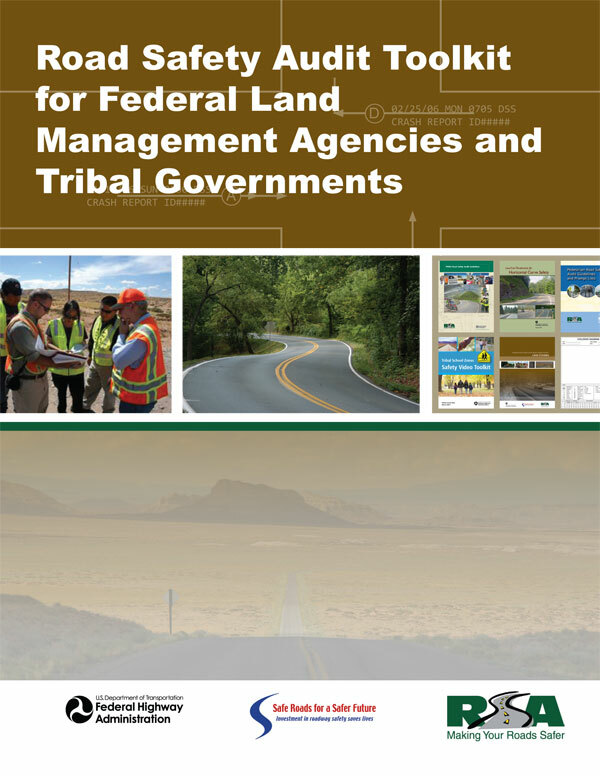 The “Road Safety Audit Toolkit for Federal Land Management Agencies and Tribal Governments” is intended to be used by FLMAs and Tribes to overcome these obstacles. Information, ideas, and resources are provided in key topic areas including how to conduct an RSA, common safety issues and potential improvements, establishing an RSA program, and incorporating RSAs into the planning process. The Toolkit serves as a starting point, providing information to FLMAs and Tribes about partnerships needed to build support, available funding sources for the program and improvements, tools to conduct RSAs, and resources to identify safety issues and select countermeasures. Worksheets and other sample materials have been provided to aid in the RSA process including requesting assistance, scheduling, analyzing data, conducting field reviews, and documenting issues and suggestions. Examples of programs and experiences of other agencies have also been included throughout to provide examples of successes and struggles in implementing RSAs and improving safety for all road users. No restrictions. This document is available to the public through the National Technical Information Service, Springfield, Virginia 22161. Road Safety Audits/Assessments (RSAs) are a valuable tool used to evaluate road safety issues and to identify opportunities for improvement. The Federal Highway Administration (FHWA) defines an RSA as a “formal safety performance evaluation of an existing or future road or intersection by an independent, multidisciplinary team.” RSAs can be used on any type of facility during any stage of the project development process. RSAs examine roadway and roadside features that may pose potential safety issues. Some element of safety is considered on every project. However, sometimes conditions on or adjacent to Federal and Tribal lands merit a more detailed safety review. For example, traffic volumes on a roadway may be higher than intended or may carry a higher percentage of trucks and other heavy vehicles due to unanticipated growth. These conditions can divide a Tribal community or interject a set of complexities to an unfamiliar visitor. RSAs examine these conditions in detail by pulling together a multidisciplinary team that looks at the issues from different perspectives – perspectives which are often not a part of a traditional safety review. RSAs also consider safety from a human factors point of view which aims to answer the following questions: How and why are people reacting to the roadway conditions? What do people sense and how do they react to those senses? What are the associated risks with those elements? The multidisciplinary team approach helps to answer these questions. Interactions between all road users (e.g., pedestrians and motor vehicles, commuter traffic and recreational vehicle traffic, bicycles and motor vehicles, etc.) are investigated to determine potential risk and to identify programs and measures to help reduce those risks and create safer environments for all road users. RSAs have proven to be a leading tool for improving safety on and along roadways. As such, the use of RSAs continues to grow throughout the U.S. A decade ago, few states had experience conducting RSAs; now each state has had some experience with the RSA process. The success has led to FHWA including the RSA processas one of its nine “proven safety countermeasures.” Federal Land Management Agencies (FLMAs) and Tribes are beginning to witness the benefits of conducting RSAs. 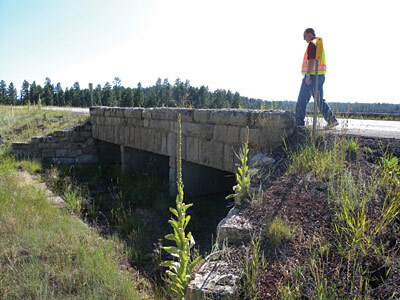 FHWA Federal Lands Highway (FLH) division offices have helped plan or conduct RSAs on facilities owned by the National Park Service (NPS), Bureau of Land Management (BLM), U.S. Forest Service (FS), U.S. Fish and Wildlife Service (FWS), and several Tribes. The U.S. Fish and Wildlife Service has included RSA findings in planning and programming documents. 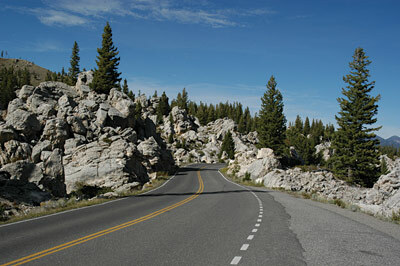 Western Federal Lands Highway Division (WFLHD) has used RSAs in their project selection process. Tribes such as the Tohono O’odham Nation have worked with State and local agencies to conduct RSAs and implement RSA findings. However, while RSAs have secured a foothold with FLMAs and Tribes, more opportunities exist to promote RSAs as a tool to address safety on and adjacent to Federal and Tribal lands. Some examples include introducing FLMAs and Tribes to the RSA process, initiating full-fledged programs within agencies, and incorporating RSAs into the planning process, thus promoting a more comprehensive approach to addressing safety. RSAs on Federal or Tribal facilities may encounter unique geometric and roadside conditions with significant historical, cultural, and environmental constraints. Conducting an RSA does not require a large investment of time or money. RSAs require only a small percentage of the time and money needed for a typical roadway project. Furthermore, by gaining a better understanding of the safety implications of roadway and roadside features, RSAs can be used to prioritize locations with safety issues which help identify the best use for funding. Other benefits include encouraging multidisciplinary collaboration beyond the RSA, which promotes a better understanding of road user needs and safety. RSAs will help save lives and reduce injuries. The success of RSAs has led to FHWA adopting the process as one of its nine “proven safety countermeasures.” The success has been realized by many FLMAs and Tribes, which are planning and/or conducting a number of RSAs with various partners. Perhaps the best way to describe the effectiveness of RSAs is through a benefit/cost (B/C) ratio. A benefit/cost ratio is a measure to compare the benefits derived from the reduction of crashes to the cost of conducting an RSA and implementing crash reduction strategies. Benefit/cost ratios may be used as the ultimate measure of the project’s success. The following case studies show the potential benefits of conducting RSAs. 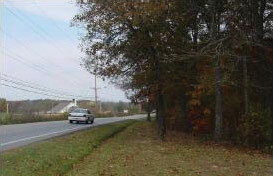 An RSA was conducted along a 3.84-mile section of a two-lane road in Cumberland County, Tennessee. Safety issues observed by the RSA team along the corridor included severe roadway curvature and limited sight distance. The team suggested the following measures: install curve warning and chevron signs, paint thicker (8”) edgelines, and remove trees along the roadway. 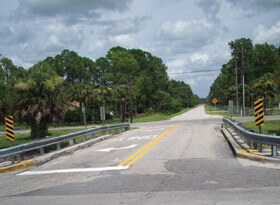 An RSA was conducted at a signalized and an unsignalized intersection in Collier County, Florida. The potential safety issues included limited sight distance, faded and insufficient signing and markings, and lack of safe pedestrian facilities. Team suggestions included trimming vegetation, installing advance warning signs, constructing left-turn lanes, and providing pedestrian signal and sidewalk improvements. How do I conduct an RSA? What are common safety issues and potential countermeasures? How do I establish an RSA program? How do I incorporate RSAs in the planning process? The Toolkit serves as a starting point, providing information to FLMAs and Tribes about identifying an RSA champion, partnerships needed to build support, available funding sources (for both the program and improvements), tools to conduct RSAs, and resources to identify safety issues and select countermeasures. Worksheets and other sample materials have been provided to aid in the RSA process, including requesting assistance, scheduling, analyzing data, conducting field reviews, and documenting issues and suggestions. Examples of programs and experiences of other agencies have also been included throughout to provide examples of successes and struggles in implementing RSAs and improving safety for all road users. Chapter 1: How Do I Conduct an RSA? What Should be Considered for an RSA? How is an RSA Conducted? What are the Time Requirements and Costs Associated with an RSA? Who Should I Partner With to Set-Up an RSA? Chapter 2: What are Common Safety Issues and Potential Countermeasures? What Types of Safety Issues Might I Encounter? How Can I Incorporate Education, Enforcement, and EMS Countermeasures? How Do I Prioritize Issues? Chapter 3: How Do I Establish an RSA Program? How are RSA Programs Structured? How Do I Prioritize Potential RSA Locations? Who Should I Partner With to Establish an RSA Program? What Funding Mechanisms are in Place? What Challenges Will I Face? How Do I Overcome These Challenges? How Do I Establish Goals and Performance Measures for an RSA Program? Chapter 4: How Do I Incorporate RSAs in the Planning Process? Who Should I Partner With to Integrate an RSA Program in the Planning Process? How Do I Incorporate RSA Findings in the Planning Process? What Challenges Will I Face and How Do I Overcome These Challenges? This chapter provides critical information needed to conduct an RSA. 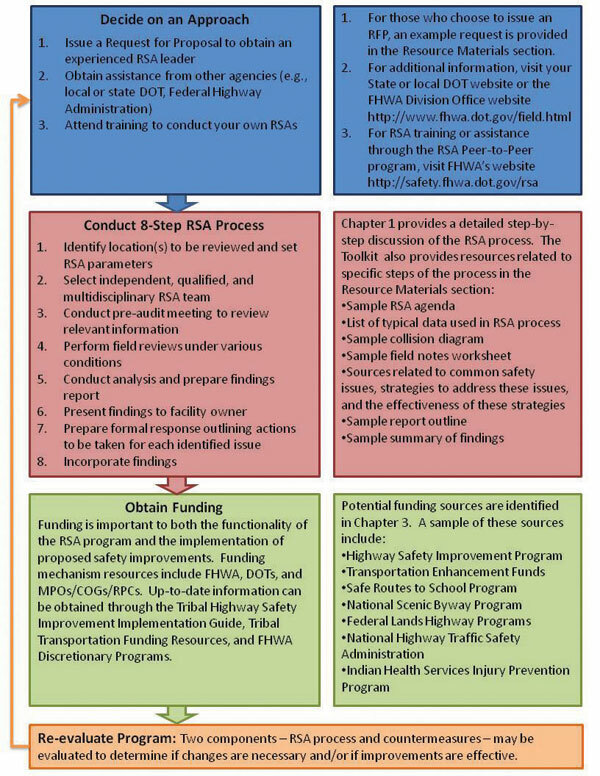 Special considerations for FLMAs and Tribal transportation agencies in each step of the 8-step RSA process are described to help improve safety on and adjacent to Federal and Tribal lands. A Road Safety Audit/Assessment (RSA) is a formal safety performance examination of a future roadway project or an in-service facility that is conducted by an independent, experienced, multidisciplinary RSA team. RSAs are commonly confused with other review processes, particularly traditional safety reviews. Traditional safety reviews are missing one or more of the key elements of an RSA. Table 1 compares the key elements of an RSA with the elements that are typically part of a traditional safety review or other safety study. Table 1: What are RSAs? Conducted by a multidisciplinary team. Conducted by a team that is independent of the operations, design, or ownership of the facility. Conducted by a qualified team. Broad enough to consider the safety of all road users of the facility. A means to evaluate the design of a facility. A check of compliance with standards. A means of ranking or justifying one project over another. A means of rating one design option over another. A redesign of a project. A crash investigation (although the crash history of an existing facility is reviewed by an RSA team). The RSA process may be employed on any type of facility and during any stage of the project development process, including existing facilities that are open to traffic. RSAs conducted during the pre-construction phase can be particularly effective because there is an opportunity to address a number of safety issues. RSAs conducted in later stages have less ability to address these issues. In addition to vehicular traffic safety issues, RSAs can also be oriented to specific user groups such as pedestrians and bicyclists. The RSA would still consider all potential users but may have a particular consideration for the needs of a specific group. Common factors leading to requests for RSAs during the existing road stage include high crash frequencies, high profile crash types or political influence, and significant changes in traffic characteristics (current or expected). A potential factor leading to the request for an RSA in the planning or construction phase includes novel designs for the area, such as the introduction of a roundabout. Another factor may be a major change in the surrounding land use that accompanies the project. The selected project should be scoped in size so that the RSA can be accomplished in a reasonable amount of time, usually two to three days or one week at most. For a corridor, this is generally a corridor of one to two miles in length or a longer corridor that is concentrated on issues at four or five spots within the corridor. For intersection projects, the scope should be limited to a series of four or five intersections. The FHWA Road Safety Audit Guidelines document (Publication FHWA-SA-06-06) describes the 8-step process for conducting RSAs. These steps are shown in Figure 1 illustrating the primary responsibilities of the project owner/design team and the RSA team. This section describes how these steps apply to an RSA conducted on or near Federal or Tribal lands. Typically, the facility or project owner identifies the location(s) to be reviewed during the RSA. Jurisdictional authority of facilities involving Federal or Tribal lands can be unique. It is common that RSAs conducted at the request of FLMAs or Tribal transportation agencies are on facilities with different ownership, such as a State or local agency. In this case, a facility or project identified by a FLMA or tribe would need to contact the owning agency to request an RSA. For instance, a request may be initiated because of safety concerns about a road running adjacent to or through a Federal or Tribal land. Attend training to conduct your own RSAs. Once the facility or project is identified, the RSA scope, schedule, team requirements, tasks to be completed, report format and content, and response procedures should be defined. The appropriate season for the RSA review should also be established. For example, special events, or seasonal conditions are important to consider for the timing of the RSA. Depending on different needs, the RSA team could include other specialists to ensure that all aspects of safety performance of the given facility can be adequately assessed. The size of the RSA team may vary. The best practice is to have the smallest team that brings all the necessary knowledge and experience to the process for the specific location(s) being reviewed. As a general rule, the RSA team should be able to travel in one vehicle (except for police and EMS) so the team can review and discuss conditions in the field collectively. An RSA for the Navajo Nation in San Juan County, Utah included team members from the Navajo DOT, Navajo police, Utah DOT (UDOT), Bureau of Indian Affairs (BIA), Indian Health Services (IHS), FHWA, and the County. All members provided useful insights during the RSA process and several team members commented on the benefit of listening to and learning from their teammates who provided a different perspective on the safety issues and potential improvements. In particular, the public health representative contributed valuable information regarding road-user demographics as well as opportunities for educational improvements, such as road safety campaigns. Review the scope and objectives of the RSA. Review all relevant data, information, drawings, aerials, photos, etc. Discuss design constraints, standards used, findings of previous RSAs/safety studies, local traffic laws, statutes, and customary usage affecting road users. Communicate any other matters of importance to the RSA team. If possible, the owner and/or design team should provide data describing the existing and planned conditions (if applicable) as well as the existing safety performance (e.g., crash records/data, traffic volumes, etc.). Ideally data will be provided prior to the start-up meeting for review/analysis by the RSA team. This will enable the team to ask detailed questions at the start-up meeting. Naturally the desired data may not be readily available; however, any information that can be provided to the RSA team is beneficial to the understanding of the location(s) to be reviewed and the potential safety issues. Site characteristics (road geometry, sight distances, clear zones, drainage, surface condition, signing, lighting, and barriers). Traffic characteristics (traffic volume, movements, typical speeds, and traffic mix). Surrounding land uses (including traffic, pedestrian, and bicycle generators). Human factors issues (such as road user “expectancy,” reactions, and other behaviors). The FHWA Road Safety Audit Guidelines and Pedestrian Road Safety Audit Guidelines and Prompt Lists provide prompts to help the RSA team identify potential safety issues and ensure that roadway elements are not overlooked. Day and night to experience conditions from the perspective of all roadway users during different lighting scenarios. Peak and non-peak to experience the influence of traffic conditions on safety, mobility, and access. The RSA team conducts an analysis to identify safety issues based on data from the field visit and preliminary documents. The safety issues may be prioritized by the RSA team based on the perceived risk. For each identified safety issue, the RSA team generates a list of possible measures to mitigate the crash potential and/or severity of a potential crash. Chapter 2 provides more detailed information on this step of the process. The RSA team then prepares a summary of the safety issues and related suggestions for improvement. Prior to preparing a report, the team may meet with the owner and/or design team to discuss preliminary findings (Step 6). The RSA report should include a brief description of the project, a listing of the RSA team members and their qualifications, a listing of the data and information used in conducting the RSA, and a summary of findings and proposed safety measures. It should include pictures and diagrams that may be useful to further illustrate issues and countermeasures. The results of the RSA are presented to the owner/design team. The purpose of this meeting is to establish a basis for writing the RSA report and to ensure that the report will adequately address issues that are within the scope of the RSA process. This is another opportunity for discussion and clarification. The project owner/design team may ask questions to seek clarification on the RSA findings or suggest additional/alternative mitigation measures. Once the owner and/or design team have reviewed the RSA report, they should prepare a written response to its findings. The response should outline what actions the owner and/or design team will take with respect to each safety concern listed in the RSA report. A letter, signed by the project owner, is a valid method of responding to the RSA report. The RSA findings may be presented in a public meeting or the report could be made available to the public to help garner support for the findings and the overall RSA process. This can be particularly beneficial on projects with a high degree of public involvement, such as pedestrian facilities. After the response to the RSA report is prepared, the project owner and/or design team should work to implement the agreed-upon safety measures or create an implementation plan. RSA findings can be incorporated into an agency’s planning process, as discussed in Chapter 4. An important consideration is to evaluate the RSA program and share lessons learned. An RSA “after action review” can be scheduled for the RSA team to evaluate the effectiveness of the suggested measures implemented and to evaluate if other measures are needed. The time and cost to complete an RSA vary based upon conditions such as project extents, level of detail, logistics, and team size. Figure 2 presents a generalized timeline of the RSA process. Please note that the writing of the report does not necessarily have to occur in Step 5; it can be completed following the presentation of preliminary findings in Step 6. In total, the entire RSA process (Steps 1 through 8) could range from a month to a couple years. The cost to conduct an RSA depends largely upon the approach (discussed in Step 1) and the level of effort required by the RSA team. Several Federal, Tribal, State, and local agencies have used RSAs as a tool for improving safety. Initially, it is important to identify a local champion, either internally or externally, to support the RSA and its outcome (see Chapter 3 for more details). If the RSA is on or adjacent to Federal or Tribal lands, the local champion should be able to communicate effectively with all parties involved. It is particularly important to communicate the need for and desired outcome of an RSA. The next challenge is to assemble an independent RSA team. Since independence is a requirement of an RSA, the agencies may contact the State and/or local DOT, Local and/or Tribal Technical Assistance Program (LTAP/TTAP) center, FHWA Division Office, FHWA’s RSA Peer-to-Peer Program, FHWA’s Federal Lands Division Office, or FHWA’s Offices of Safety and Federal Lands Highway for assistance in finding team members. Federal and Tribal transportation agencies may also find it helpful to contact staff from other nearby Federal agencies or Tribes with whom they may establish a reciprocal relationship. RSAs conducted on or near Federal or Tribal lands may necessitate involvement from multiple agencies. This chapter describes potential safety issues identified on Federal and Tribal lands as well as a list of potential low-cost countermeasures for addressing these issues. A basic prioritization methodology is also discussed. Most issues on or adjacent to Federal and Tribal lands have both an engineering and behavioral element. For example, traffic types and volumes may be inconsistent with the intended roadway design due to changes in the functionality of the roadway and land use in surrounding areas. This may result in a roadway serving mostly commuter traffic, an increase in heavy vehicular traffic, or seasonal traffic peaks and variations. As such, shoulder widths and roadsides may not adequately address the increased risk to drivers. From a behavioral standpoint, lack of awareness of the intended purpose of the roadway may result in motorists not applying the appropriate driving techniques for the conditions. Furthermore, driver expectancy of other road users such as pedestrians and bicyclists may not reflect the intended usage. The RSA team should determine the safety issues while considering the infrastructure and the behavior elements. Table 2 illustrates common safety issues and behavioral aspects relating to these issues on or near Federal and Tribal lands listed by roadway element. The RSA team is charged with determining specific roadway and behavioral issues for the specific project they are assessing. The documents in the Resource Materials section provide further detail with regard to the issues presented here and to other potential safety hazards that an RSA team should be aware of when conducting a field review. Table 2 also presents common countermeasures that may be used to address road safety issues on or near Federal and Tribal lands. This list is not comprehensive; it is intended to provide general guidance to typical countermeasures. Note that the countermeasures identified in this list are primarily low-cost engineering measures, although a few relatively high-cost options are included because they are considered to be “proven” countermeasures. A few specific education and enforcement measures are identified as well, but a more general discussion of how to incorporate education, enforcement, and EMS countermeasures is provided in the following section. The documents in the Resource Materials section provide a much wider and detailed range of potential countermeasures and their effectiveness and should be used as guidance when considering safety measures during the RSA process. Redesign the obstacle so it can be safely traversed. Relocate the obstacle to a point where it is less likely to be struck. Reduce impact severity by using an appropriate breakaway device. Shield the obstacle with a longitudinal traffic barrier designed for redirection or use a crash cushion. Delineate the obstacle if the above alternatives are not appropriate. (1) American Association of State Highway and Transportation Officials (AASHTO). Roadside Design Guide. 2002 3rd Edition with 2006 Chapter 6 Update. Safety issues cannot be completely addressed through engineering alone. The other “E’s” include education, enforcement, and emergency medical services (EMS). The RSA team should encourage and suggest measures that consider all “4 E’s” to address specific safety issues. Communication and coordination among the “E’s” is essential to ensuring safety is addressed at a comprehensive level. The agencies conducting RSAs may need to regularly assemble representatives from each of the “4 E’s” to ensure that countermeasures and strategies are complementing one another. Some examples of education, enforcement, and EMS countermeasures are presented below; NCHRP Report 622 provides a more complete description of countermeasures that may aid education, enforcement, and EMS safety strategies (see Resource Materials section for complete reference). Although the report is based on countermeasures targeting a State Highway Safety Office audience, the information provided may be applicable to safety issues observed by Federal and Tribal agencies. Education – All road users must be aware of the safe and proper way to use roads. 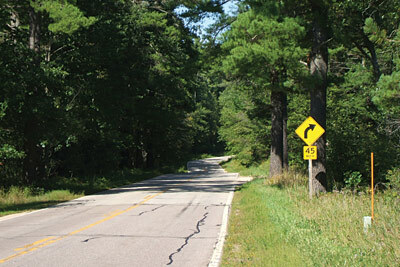 Due to the unique characteristics of Federal and Tribal land roadways, users need to be made aware of safe travel practices and potential hazards. Example methods of transferring this information include postings on the internet, brochures provided at visitor’s centers, and video messages. Additional information on effective education strategies may be acquired through outreach groups such as Tribal Technical Assistance Programs (TTAPs). Enforcement – Laws are intended to control the operation of road users. Enforcing speed limit and compliance with signal/sign indications, as well as correcting wrong-way riding and impaired driving create a safer travel environment for all road users. Staffing and funding constraints may limit the ability of a Federal or Tribal land agency to provide comprehensive enforcement; however, efforts should be made to target specific issues or frequent or high-risk behaviors. This can be done by identifying prevalent factors that contribute to crashes along the roadway of interest and targeting behaviors that relate to those issues. For example, if alcohol was determined to be a primary contributing factor in 50 percent of fatal and injury crashes along a specific route, it may be appropriate to deploy a checkpoint to combat drinking and driving; this could be further targeted by identifying the time of day and day of week when this behavior is most likely to occur. Law enforcement on RSAs is helpful to identify safety issues as well as to suggest targeted enforcement countermeasures. Emergency Medical Services – The rural nature of many roadways on or near Federal or Tribal lands may play a major role in limiting the ability to provide timely medical treatment to people injured in a crash. Factors contributing to response time include the ability of other motorists to identify a crash and to notify emergency personnel, the ability of emergency personnel to quickly respond to the scene, and the ability to quickly transport the victim(s) to a trauma center. Adequate cell phone service coverage and routine patrols are a few methods that can help save a life in the event of a serious injury. A prioritization process is useful for identifying the most pressing safety needs based on the findings of the RSA team. Table 3 is a matrix that can be used in the prioritization process. In general, issues associated with more frequent crashes and higher severity levels tend to be given higher priority. The prioritization can be based on historical crash data, expert judgment (provided by the RSA team), or a combination of the two. For many RSAs conducted in rural areas, reliable crash data are not available. Anecdotal information (e.g., from maintenance, enforcement call logs, land owners) and evidence of conflicts and crashes (e.g., skid marks and fence strikes) help to create a more complete picture of potential hazards, but cannot be quantified with any certainty. In these cases, the likely frequency and severity of crashes associated with each safety issue are qualitatively estimated, based on the experience and expectations of RSA team members. Expected crash frequency can be qualitatively estimated on the basis of exposure (how many road users would likely be exposed to the identified safety issue?) and probability (how likely was it that a collision would result from the identified issue?). Expected crash severity can be qualitatively estimated on the basis of factors such as anticipated speeds, expected collision types, and the likelihood that vulnerable road users would be exposed. These two risk elements (frequency and severity) are then combined to obtain a qualitative risk assessment. This section describes the process to initiate an RSA program, including potential program structures, partners, and funding sources. Discussion on how to prioritize locations to conduct RSAs is also included. It presents potential challenges and provides suggestions for overcoming these challenges. Finally, it suggests performance measures that may be used to evaluate the progress and success of the program. Piloting RSA projects – conduct one or more projects with in-house personnel that are guided by individuals experienced in the process. Developing a formal RSA policy/process – use the experience from the pilot projects to develop an RSA policy/process suited to the local conditions; establish criteria for site selection, procedures for conducting and documenting field reviews, and opportunities for additional training. Monitoring, refinement, and promotion of the RSA policy/process – periodically review the current policy/process to ensure the desired level of success is being achieved and modify as necessary to increase efficiency and effectiveness. There are numerous methods for prioritizing RSA locations. The method of choice will depend on the availability of staff and data resources, as well as the number of requests for RSAs. If RSA efforts are request-based, it is not necessary to waste valuable resources on a complex prioritization process when the number of requests is relatively low; it may suffice to simply prioritize locations on a first-come-first-served basis. As the number of requests increases, it will become necessary to prioritize and perhaps even screen locations, which requires a formal (and likely data-driven) process. This does not mean that the process has to be completely quantitative and objective. However, good transportation safety planning should focus RSA efforts on areas with the highest concentration of crashes, particularly deaths and injuries. Other factors to be considered can include timeframe, cost, relation to overall program goals, and stakeholder support. Chapter 2 of the FHWA Road Safety Audit Guidelines suggests an application of nominal (compliance to design standards) and substantive (crash performance) safety concepts to prioritize locations; please refer to that publication for more information. An RSA program may be established by and housed at any one of a number of agencies. Regardless of where the program is housed, it is critical to identify a champion to lead and promote the RSA program (or at least the establishment of the RSA program) at the highest level of the organization. Depending on factors such as available staff, experience, and funding, FLMAs or Tribes may decide to identify a champion internally within their own agency or seek an external champion. A champion may be an individual or may be an entire agency or department of an agency. In any event, the champion should be knowledgeable of the RSA process and potential benefits so that RSAs can be introduced to others to promote awareness and foster support. While the champion is responsible for introducing and promoting RSAs, there is a need to identify a support network to provide staff, funding, expertise, and public and political support. Table 4 identifies potential partners that could help establish, house, staff, fund, or support an RSA program. The Federal government provides funding assistance for eligible activities through legislative formulas and discretionary authority, including some 100 percent Federal-aid programs and programs based on 90/10 or 80/20 Federal/local matches. The Tribal Highway Safety Improvement Implementation Guide advises that the implementation plan for a Tribal Highway Safety Improvement Project (THSIP) or highway safety project will depend greatly on which funding sources the Tribes pursue, since each source has different program eligibility requirements. Some of the important safety-funding sources are presented in Table 5. Projects on Federal-aid highways, including the NHS, bridge projects on any public road, transit capital projects, and intracity/intercity bus facilities. Now limited to urban areas. 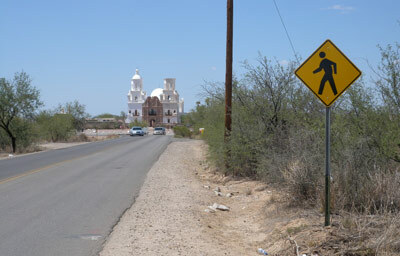 Projects involving pedestrian facilities and scenic highways. Enable and encourage children to walk and bike to school. Nationally or locally designated roads with outstanding scenic, historic, cultural, natural, recreational, and archaeological qualities. Planning, design, construction, and maintenance activities addressing Tribal transportation needs. Design, construction, reconstruction, maintenance, or improvement of roads and bridges providing access to or within a unit of the National Park Service. Design, construction, reconstruction, maintenance, or improvement of roads and bridges providing access to or within a unit of the National Wildlife Refuge System. Resurface, restore, rehabilitate, or reconstruct roads providing access to or within a unit of the National Forest or Grassland. Planning, research, engineering, and construction of highways, roads, parkways, and transit facilities within, adjacent to, or providing access to reservations and Federal public lands. Basic and advanced injury prevention projects. Wilson and Lipinski (Eugene Wilson and Martin Lipinski. NCHRP Synthesis 336: Road Safety Audits, A Synthesis of Highway Practice (National Cooperative Highway Research Program, TRB, 2004)) noted in their synthesis of RSA practices in the United States that the introduction of RSAs or an RSA program can face opposition based on liability concerns, the anticipated costs of the RSA or of implementing suggested changes, and commitment of staff resources. Other challenges include cultural and institutional barriers (e.g., lack of support from within), lack of RSA training, and lack of long-term support. The following were identified as potential challenges to establishing an RSA program; methods to overcome each potential challenge are also presented. Note that education and awareness are a common theme. Risk Management: There is sometimes a concern that agencies conducting RSAs will be held responsible in the event of a crash after a review has been completed. RSAs are just one of several proactive risk management techniques that demonstrate an agency’s responsiveness to the safety needs of the public. Following the 8-step RSA process and using the information garnered from the RSA should be included in the framework of the agency’s safety management system. It is important that agencies thoroughly document the RSA and resulting actions. Funding: A common issue with establishing and sustaining any program or activity is funding. In many areas, funding is available from various sources to conduct RSAs. Guidance with regard to funding sources has been provided in this chapter. Staffing: Limited staff is a common issue for many agencies. While in-house staff may not be available, there are other options to create an RSA team (see Chapter 1). An additional resource is the FHWA Peer-to-Peer program which will assist in identifying the appropriate personnel from a nearby State or local agency. Skills: It may be difficult to sustain an in-house RSA program without proper training. While outside options are available for an RSA lead or technical support, it may be more cost effective to complete the appropriate training and lead RSAs with in-house staff. Even if an outside source is used, it still may prove beneficial to support the RSA team with trained in-house staff that is knowledgeable of the RSA process and specific safety issues. Check with FHWA and State and local agencies for training opportunities. Cultural and Institutional History: Many Federal and Tribal lands are steeped in tradition. As such, it may be difficult to introduce new programs or processes. A local champion can help to overcome this challenge by explaining the purpose and benefits of the RSA process. Agencies that have proactively involved their cultural heritage representatives within the RSA process have been successful in making roadway improvements. Conducting an RSA provides an opportunity for senior leaders to realize the benefits of RSAs and help promote their wider acceptance. Long-Term Support: It is relatively easy to schedule a single RSA; however, it is more difficult to sustain an RSA program due to funding and staffing commitments. In addition to the funding and staffing support discussed in this chapter, another option for long-term support is to involve the public or specific community groups. The RSA process provides a way for the public to voice their concerns and take action. As support is gained to establish an RSA program, it will be useful to begin to define goals and performance measures. Goals help to guide the direction of the program while performance measures help to identify the success of the program. Performance measures are also important because they can be used (or may be required) to obtain or renew funding. Example goals and performance measures are presented in Table 6. Goals: Goals are generally established by a group of representatives from the agency or agencies responsible for administering the program. Goals will vary by program; however, they should be specific, measurable, attainable, relevant, and timely. Goals should be reevaluated over time or as they are met. Early in an RSA program, the goals may be related to the sustainability of the program. As the program becomes more established, goals may be related to gains in safety. Performance Measures: Performance measures can be established to indicate the relative success of the program. They will depend on the specific goals of the program and should be established to directly measure the progress in attaining a specific goal. Provide RSA training to X percent of agency personnel with Y years. Percentage of personnel trained to conduct RSAs. Conduct X RSAs per year at high-crash/risk and/or high-profile locations. Number of RSAs conducted per year. Reduce injuries and fatalities by X percent per year with low-cost, quickly implemented improvements. Number of total crashes or specific crash types/severities at locations where RSAs are conducted. This section describes the process for integrating RSAs in the planning process, including potential partners, implementing RSA findings, and potential challenges. Many of the same partners identified to assemble an RSA team are the same partners that can assist in integrating an RSA program into the planning process. For example, the Office of Federal Lands Highway provides “program stewardship and transportation engineering services for planning, design, construction, and rehabilitation of the highways and bridges that provide access to and through Federally-owned lands.” FLH consists of the following: Eastern, Central, and Western Federal Lands Highway Divisions as well as the Headquarters office. These units of the FLH work with Tribes, FLMAs, and States to address and improve safety. FHWA’s Division Office in each state is also a resourceful partnering agency. 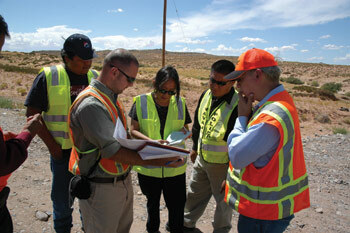 RSAs on Federal and Tribal Lands often require unique partnerships to assess safety. These partnerships can be critical in incorporating long-term suggestions or establishing a long-term RSA program. State DOTs, MPOs, and COGs are also open to forming partnerships with Federal and Tribal land agencies. Several DOTs have internal departments devoted specifically to setting up partnerships between agencies. Federal and Tribal land agencies also have formed committees and councils to communicate their needs to DOTs, MPOs, and COGs. By working together, agencies have realized the benefits of cooperative participation where the needs and concerns of all parties involved can be voiced and addressed in a timely and efficient manner. In Arizona, coordination and information sharing between the Arizona Department of Transportation (ADOT) and the Inter Tribal Council of Arizona, Inc. (ITCA) have advanced consultation activities between ADOT and tribal governments in transportation planning efforts. The partnering between ADOT and the ITCA has (1) provided insight to ADOT staff of the challenges facing tribes throughout the state, and (2) increased awareness amongst tribal transportation staff of the opportunities for input into state-level transportation planning efforts. Besides the ITCA, ADOT has formed partnerships with other agencies: Arizona State Land Department, Arizona Tribal Strategic Partnering Team, Bureau of Land Management, the United States Forest Service, and FHWA. These partnerships have helped effectively streamline tribal transportation consultation in Arizona. In an effort to assist tribal governments and tribal planning departments in understanding the ADOT transportation planning and programming processes, ADOT has developed Transportation Planning and Programming – Guidebook for Tribal Governments. The Arizona Tribal Transportation website (http://www.aztribaltransportation.org/) provides a wealth of information with regard to state-tribal transportation related partnerships, projects, activities, and funding resources. Other helpful information can be found on ADOT’s partnering office website and on the ITCA website. The Wisconsin Department of Transportation (WisDOT) has formed a formal partnership with the State’s Federally-recognized Tribes. The Wisconsin State Tribal Relations Initiative recognizes the government-to-government relationship between the State and Tribal governments. As such, the State-Tribal Consultation Initiative is poised at improving communication between State and Tribal representatives to ensure that concerns and issues are addressed in a timely and efficient manner. This partnership is applied through the WisDOT Tribal Task Force. Since 2008, the task force has provided funding for the Tribes to conduct RSAs. Many of the RSAs were targeted at Reservations where WisDOT was planning roadway improvements. Step 8 of the RSA process introduced in Chapter 1 involves the implementation of safety improvement measures identified by the RSA team. Incorporating RSA findings into the planning process is largely dependent on the desired timeframe for implementation (i.e., short-, intermediate-, or long-term). Short-term improvements (e.g., signing, pavement markings, and vegetation control) can often be handled through maintenance activities. Intermediate- and long-term improvements (e.g., updating/installing guardrail, installing a shared use path, realigning/widening, etc.) can be integrated into local, regional, and State transportation improvement programs and plans. It is important for all parties involved in the RSA process to understand the intent and extent of these programs as they pertain to the area being studied so that safety issues may be addressed in an appropriate timeframe. Transportation agencies are charged with developing long-range plans for the transportation systems on State, Tribal, and Federal lands. Examples include the Transportation Improvement Program (TIP), Statewide Transportation Improvement Program (STIP), Tribal Transportation Improvement Program (TTIP), Comprehensive Conservation Plan (CCP), and General Management Plan (GMP). A major component of these plans is a comprehensive transportation study which identifies short- and long-term needs. The findings on an RSA are important to fully addressing these needs. A brief description of the identified programs and plans is provided. For specific information regarding the long-range plans in your area, contact your State DOT, Tribal DOT, or FLH. Figure 3 illustrates how RSAs contribute to the overall planning process. Transportation Improvement Program (TIP): The TIP is a regional prioritized, fiscally-constrained, and multi-year list of Federally-funded, multimodal transportation projects. Specifically, the TIP covers at least a four-year program of projects and is updated every few years. Projects in the TIP are prioritized at the regional level and have clearly identified funding sources. The TIP represents an agency's intent to construct or implement a specific project and the anticipated flow of Federal funds and matching State or local contributions. The TIP is incorporated in the Statewide Transportation Improvement Program (STIP). Statewide Transportation Improvement Program (STIP): The STIP is a financially-constrained list of transportation projects consistent with the State long-range transportation plan and other regional plans. The STIP includes all capital and noncapital projects that are targeted to use Federal Highway Administration or Federal Transit Administration (FTA) funds. The STIP also includes all regional TIPs and the portion of the Indian Reservation Roads, Forest Service, Fish and Wildlife Service, or National Park Service TIP applicable to that State. Tribal Transportation Improvement Program (TTIP): The TTIP is similar to the TIP, but is the list of Tribal transportation projects to be funded in the next few years. The TTIP is a list of proposed transportation projects developed by a Tribe based on the Tribal priority list or the long-range transportation plan. The TTIP contains all projects funded by the IRR program and scheduled for construction in the next three to five years. It also includes other Federal, State, county, and municipal transportation projects initiated by or developed in cooperation with the Tribal government. For more information on developing a TTIP, refer to Developing the Tribal Transportation Improvement Program (FHWA-HEP-08-003) available online. Comprehensive Conservation Plan (CCP): A CCP is required by law for all lands within the National Wildlife Refuge System. A CCP is a document that provides a comprehensive framework for guiding refuge management decisions. The National Environmental Protection Agency (NEPA) requires CCPs to examine a full range of alternative approaches to refuge management. CCPs are also intended to encourage public involvement in selecting alternatives that are best suited to a refuge’s purposes. Refuge transportation studies have been used to develop the transportation component of CCPs. These studies have examined the core transportation network within a refuge, identifying short- and long-term transportation, capital, and maintenance plans for future programming. General Management Plan (GMP): A GMP is the National Park Service’s version of the CCP (see description above). 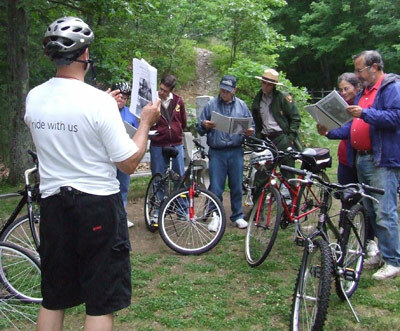 USDA Forest Service Strategic Plan: The plan provides strategic direction to the Forest Service’s commitment to its mission. The programs and budget are aligned to meet the goals and objectives contained within the plan. Through this programming, the Forest Service is capable of providing financial and technical assistance in collaborative efforts with States, Tribes, local communities, and other partner agencies. One component of the plan is the condition of the transportation infrastructure, including off-highway vehicle access. Much like the challenges faced when establishing an RSA program, similar challenges may be realized when incorporating an RSA program into the planning process. Identifying appropriate partners and obtaining funding is described in Chapter 3. Other challenges include the availability of data and jurisdictional boundaries. Data Quantity and Quality – For many RSAs conducted on Federal and Tribal lands, the lack of data and/or the poor quality of available data are issues when identifying and prioritizing locations. In many instances, crashes are not formally documented. When documents have been prepared, the data may be incomplete or inaccurate. These data constraints do not help pinpoint locations in need of attention or provide a good understanding of the safety hazards, thus making it difficult to program appropriate measures into transportation improvement plans. 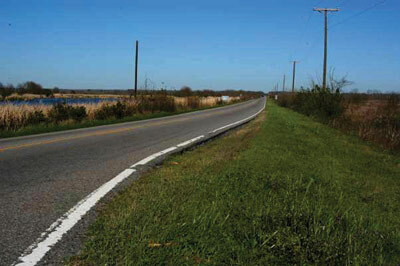 An RSA conducted on the Savannah National Wildlife Refuge study area revealed that many run-off-the- road crashes were not reported as a result of the location of the crash. Vehicles involved in run-off-the-road crashes along a State roadway going through the refuge were not represented in the crash reports; once the vehicle leaves the roadway it enters Federal refuge property. The motorist is responsible for removing the vehicle and it is not reported by the police. The lack of data and/or the poor quality of available data can be overcome by using alternative methods for identifying and prioritizing locations for RSAs. Consulting with local law enforcement, emergency medical services, health services, and/or the public can help with the identification of common issues and problematic locations that could be considered as potential candidates for an RSA. Law enforcement and public input provides anecdotal information that often helps create a more complete picture of potential hazards even without quantifiable data. The inputs to the process can be a combination of objective and subject measures depending on the availability, quality, and detail of the data (see Chapter 2). Jurisdictional Boundaries – Ownership of facilities or projects involving Federal or Tribal lands can be unique. For example, an RSA may be conducted on a state-owned roadway that travels through or adjacent to a Federal land. In other cases, local agencies such as counties, townships, and villages may also have roadway jurisdiction. When a facility or project is under multiple jurisdictions, there are multiple interests that are involved. One challenge is to ensure that all parties affected by programs or initiatives are well informed and that concerns are received and addressed appropriately. Another challenge is to determine which jurisdiction is responsible for planning and implementing changes, performing maintenance activities, providing enforcement, and keeping up-to-date records. This can become particularly difficult when multiple agencies are involved, especially when staffing and financial responsibility must be assigned. It is important to realize, though, that while the ownership of a facility or project can be very complex and present difficult challenges, there are also benefits of multi-agency involvement. For example, funding for reconstruction and maintenance may be limited for an individual agency, but options can be identified for pooling resources to implement suggested RSA improvements. 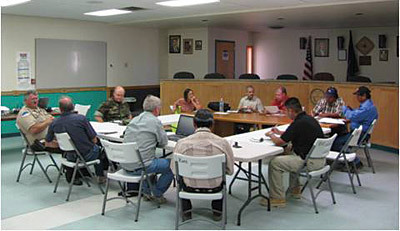 An RSA for the Navajo Nation was conducted along N-35. The portion of the N-35 corridor studied is a Federal Aid Highway. A portion of the roadway (milepost 0 to 18) is owned by the Bureau of Indian Affairs. The Phillips Oil Company paved a section of N-35 (milepost 18 to 23), but road ownership remains with the Navajo Nation. Funding for reconstruction and maintenance of N-35 comes from several sources, including the Indian Reservation Roads Program, Congressional earmarks, and the BIA road maintenance program. The funding for road improvements is administered by the Navajo Region Division of Transportation (NRDOT) through the IRR Program within the Federal Lands Highway Program. Funding for road maintenance comes from the Department of the Interior (DOI) and is also administered by the NRDOT. They have contracted San Juan County to maintain much of the roads in the county, including N-35. 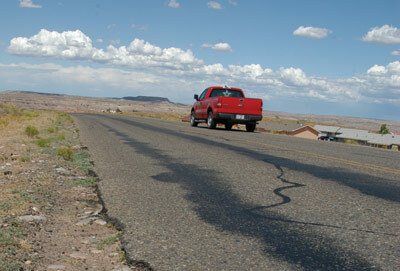 San Juan County is responsible for signing, pavement markings, and roadside mowing. Effective communication between all parties in the RSA process is important to overcome jurisdictional boundaries. It is also important to understand how the RSA process and the resulting suggestions for improvement fit into the planning process for each agency, region, and/or State. Through partnerships, many DOTs have created formal initiatives with FLMAs and Tribes to ensure that each agency’s interests are addressed through the planning process while minimizing negative impacts or feelings by any party involved (see “Who should I partner with to integrate an RSA program in the planning process?”). It is also important that other local and regional stakeholders (e.g., MPOs and COGs) buy into the RSA process and realize the benefits of the suggested improvements so that the program gains support, relationships form and grow, and measures continue to be programmed. This chapter summarizes the key points presented in the Toolkit, providing guidance regarding what can be done to move forward in establishing an RSA program and conducting RSAs. Further information related to the available references to aid in this process can be found in the Resource Materials section. The following are key elements of starting an RSA program. Coordinate with other Partner Agencies – Partnering with other agencies will prove beneficial for Federal and Tribal land agencies, as resources can be combined to target a central goal: improving roadway safety. Partnering opportunities should be considered not only when establishing an RSA program, but also when incorporating RSAs into the planning process. Partnering between State DOTs and FLMAs or Tribes can greatly improve communication and increase inter-agency participation and cooperation. Identify Problematic/High-Crash Locations – One of the key components of conducting a successful RSA is to select locations with safety issues where a benefit can be realized. For facilities on Federal and Tribal lands, it may prove difficult to adequately understand crash problems as data may be insufficient to identify trends. The best effort must be made to use available data and anecdotal information to select the most problematic and hazardous locations so that resources are used effectively and efficiently. Decide on an RSA Approach – Depending on experience, personnel, and funding, FLMAs or Tribes can consider several options to conduct RSAs. For those agencies with little or no experience, issuing a Request for Proposal would solicit an experienced outside lead for the RSA team (typically a consulting firm). Agencies with some experience and available resources may request assistance from the local or State transportation agency. Finally, for those agencies wishing to conduct RSAs on their own, training courses should be scheduled prior to actual field reviews. The National Highway Institute provides a training course (FHWA-NHI-380069) for performing effective RSAs. Obtain RSA Materials – Prior to conducting RSAs, agencies should become familiar with the overall process as well as specific details and issues to be looking for in the field. The Resource Materials section provides various resources with regard to demonstrating the usefulness of RSAs, assessing roadway safety, identifying potential improvements, and evaluating their effectiveness. Additional information and resources can also be obtained from attending one or more training courses and/or by visiting FHWA’s website. Schedule and Conduct an RSA – Once partnerships have been formed, locations have been identified, options have been addressed, and materials have been reviewed, it is time to get the RSA process underway. Example materials to aid in scheduling, conducting, and documenting an RSA are provided in the Resource Materials section. When introducing RSAs, consideration should be given to the “top down” approach: start with pilot RSA projects under an experienced lead and work towards developing a formal RSA policy. It is important to evaluate the overall experience of the RSA after its completion, noting the pros and cons and making adjustments as necessary when scheduling and conducting the next RSA. Visit the RSA Website for more information. Utilize the RSA Peer-to-Peer Program. Contact a FHWA office, LTAP or TTAP, or State/local DOT. Subscribe to safety-related newsletters, such as the Road Safety Audit (RSA) Newsletter. Subscribe to relevant listservs, such as the Center for Transportation and Environment “Wildlife, Fisheries, and Transportation (WFT)” Listserv. Attend a safety conference, such as a Tribal safety summit, when it is held in your State. Keep in mind that implementing changes may take time. Even seemingly minor changes may require coordination with multiple agencies and may result in a change in policies or practices. However, by working together, positive relationships can be established that will provide longer-term benefits in all efforts to improve safety…all it takes is commitment.